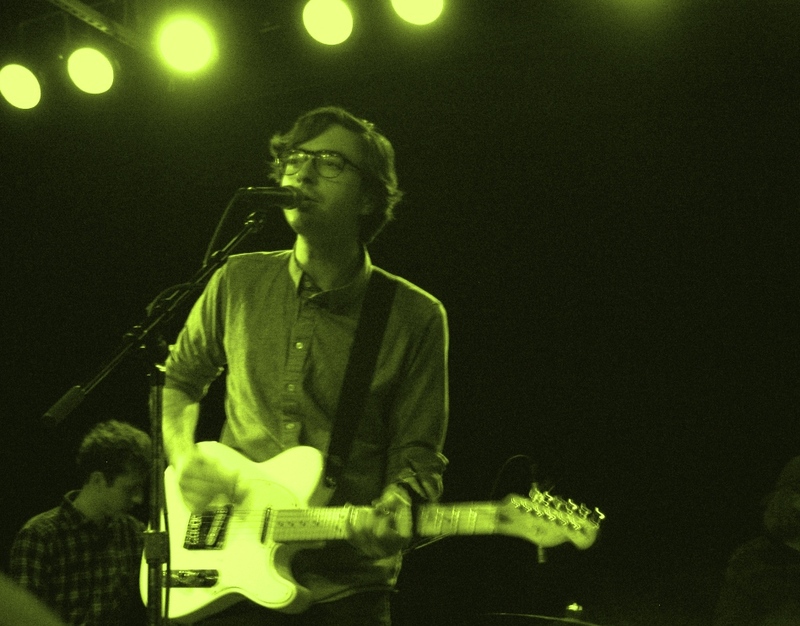 Real Estate were solid playing to a comfortably full Crocodile last night. I was standing on the Alex Bleecker side of the stage, which I would recommend. His bass was more audible which added a bit more substance to the songs and kept the lighter airy aspects anchored to solid ground. Real Estate are a suburban New Jersey band that write songs that go perfectly with driving on six lane arterials, waiting at red lights late at night with no one in sight and wandering through office parks. Their edge city rock wandered off into more bucolic places a few times last night. A couple songs midway through their set seemed to float by causing a yawn or two, but for the most part they kept it interesting and chill, focusing on the songs from their much stronger second album Days. After a 40 minute set that left everyone wanting more, they shyly sauntered back on stage for an encore and let Bleecker take the reigns to sing his song Wonder Years. That song momentarily took them out of the suburbs and landed them in a California canyon. It was possibly the best song of the night. I saw Big Troubles a few weeks back open for the Pains of Being Pure At Heart and thought they were good. Last night opening for Real Estate they were downright great. Amazing what a few weeks of touring will do for a band. 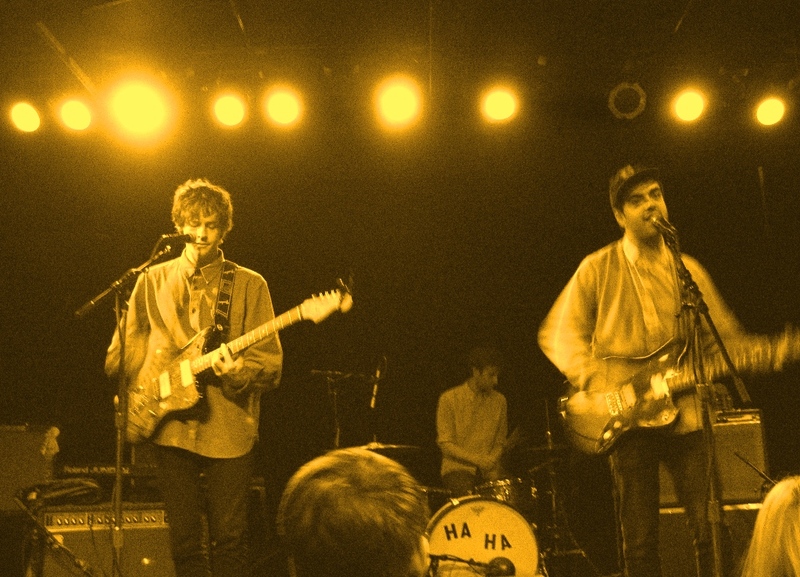 They confidently blasted their songs to an audience waiting for Real Estate. Co-singers/guitarists Ian Drennan and Alex Craig had it down. Perfect timing, nonchalantly delivering killer riffs and just generally doing everything right. These guys seem older and wiser than the young band that they are. From their Boo Radleys (Lazy Day) sounding Freudian Slip to getting the legendary Mitch Easter to produce their new album Romantic Comedy to choosing to cover the Go-Betweens‘ Bachelor Kisses (which they did at the request of some super-geek who tweeted at the band the day of the show asking them to play it). There were no let downs in their 35 minute set. I kept thinking: ok, the next song is going to be a let-down because they can’t have another one that sounds this good, but they kept delivering. This was one of those shows that changes how you feel about a record. Before last night I thought Romantic Comedy was a fine record. After last night, I’m in love with it.